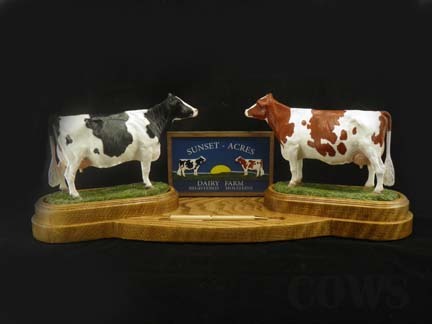 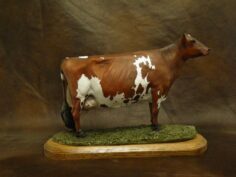 This is an original design by CM Herden, double dairy cow award, can be customized to your idea. 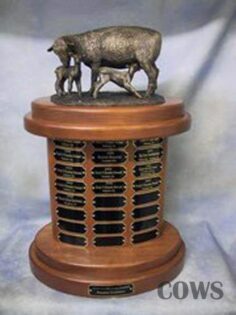 has pen holder in front, room for riser with information / award title in center, between cows. 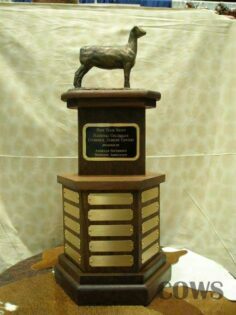 Oak or walnut base. 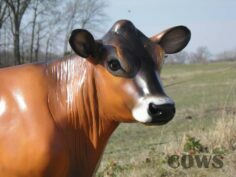 you can order more custom specifications by calling or emailing.